In real life, architects and designers use color guides for selecting, matching and sampling the right color. The ones I’m thinking of are portable, numerically referenced and named – it’s a color-on-paper “fan deck” and they are so stinkin’ cool. Pantone has a fan deck with 2,100 colors. Many paint companies have collections of their own, too – you’ve probably seen them. 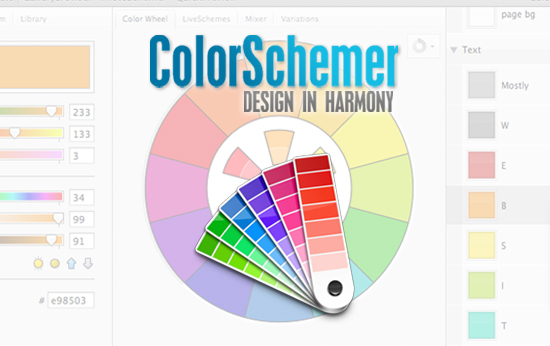 ColorSchemer Studio is a web and graphic designer’s equivalent. It’s digital, portable, and I can even edit and save color names for each project. I use it all the time, it’s value is second-to-none in the design process, and that’s why I have it listed here with this recommendation. Pull out the crayons and colored pencils – it’s time to color.